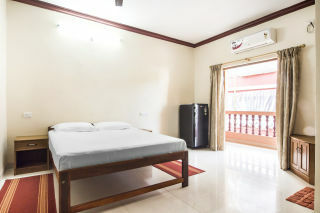 This boutique property is offering clean and comfortable rooms to the guests near Calangute beach. It is only a few meters away from the colorful and dynamic Calangute beach. The holiday street on which this boutique property is located has very perky surroundings. You would find many shops with designer clothes, jewelry, knick knacks for decorating your abode, shops with woolen clothes from where people buy Ushanka and tattooers on this street. 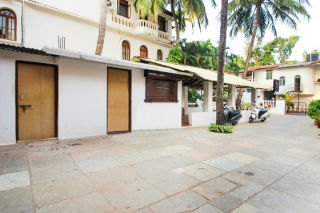 Besides, There are many restaurants with Indian, Goan and Continental specialties on this lane. It is a simple haven with a comfortable setting. This cosy resting place near the famous Calangute beach allows travellers to just lie down and relax. Away from the crowded city ambience, this abode is just the right place to rest in the lap of nature. 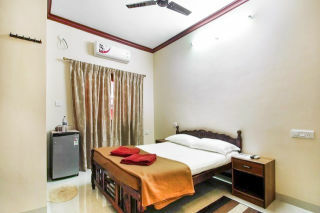 The simple, clean and comfortable room near Calangute beach features facilities like a cable television, air conditioner, dressing table, a mini fridge, a wardrobe and a balcony. The bathrooms have various toiletries, hot and cold water shower and European toilet. 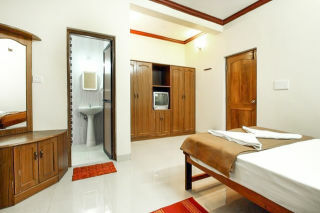 The guests can enjoy room service facility here. 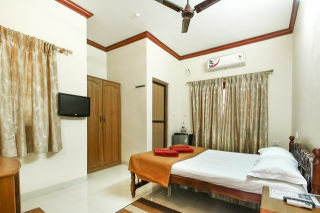 Air-conditioned rooms for accommodation at this property are comfortable and peaceful. 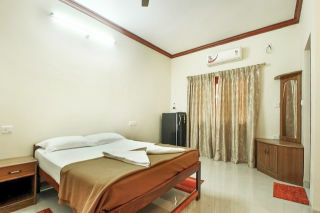 The rooms attached with balconies are simple and well-appointed with all the essential amenities required for a comfortable stay. Guests are requested to provide valid ID proof at the time of check-in. Enjoy the heartwarming hospitality offered by the boutique property. 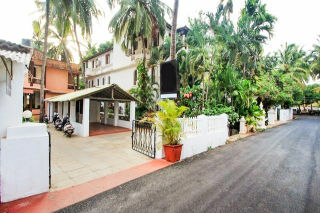 The boutique property is located 2.5 km from the Calangute beach. Important sightseeing sites are easily accessible from the boutique property. The popular Baga beach is only 4.4 km from here and Candolim beach is just 2.7 km away. The M V river princess ship and scrub covered dunes on Candolim are good to watch. Candolim is close to Fort Aguada, 7.3 km from this place. A part of Aguada fort rampant reaches the quiet beach sinquerium. In Candolim, you can also visit the heart of goa museum famous as Calizz museum. Besides, The Saturday night arpora market site is just 5.4 km from here. On Calangute, you can take a sunbed and enjoy the Goan traditional savour. Other beaches to visit in North Goa are Anjuna beach - 8.3 km , Vagator beach - 10.3 km, Ashwem beach - 19.3 km, Mandrem beach - 21.3 km, and Arambol beach - 24.2 km.